Anyone who works in an emergency department considers it a privilege. We take pride in being our community’s safety net while providing critical and often lifesaving care twenty-four hours a day, seven days a week. Like all medical specialties, emergency medicine is constantly evolving to improve the care of patients. Advances may include implementing new treatment protocols, the latest imaging technology, or simply reevaluating how we operate as a team. The latter is what Newport Hospital’s emergency department has been doing over the last year. Let’s figure out ways to cut out what gets in the way of putting the patient in front of the care team as soon as possible. In short, we said let’s figure out ways to cut out what gets in the way of putting the patient in front of the care team as soon as possible. In doing this, we had to consider our overall volume is 31,000 visits per year, but our average monthly patient visits fluctuate as high as forty percent more in the peak summer season. This past July, we set records for emergency department visits in one-day, one-week, and one-month increments– and we do this in an emergency department that is right sized during the winter, but undersized during the summer. To accommodate increased patient volume during the busy summer months, we constructed three additional triage bays for lower acuity patients that are staffed during busier times of the day with an additional nurse and provider. 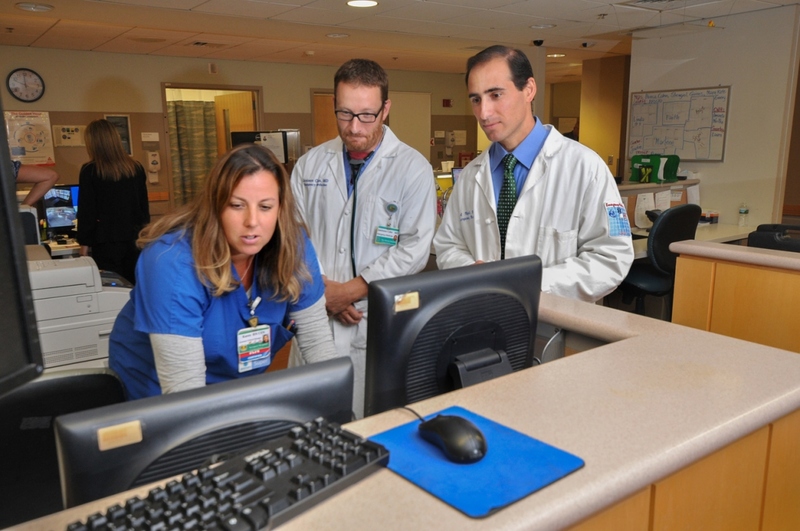 We placed a provider in triage to help streamline the care of lower acuity patients. This also freed up beds for higher acuity patients, and shortened the time from arrival to initiating care for all patients. We assigned nurses with implementing pre-approved protocol orders to help initiate patient workups. Patients bypass triage and are placed directly in beds whenever beds are available. We share provider expertise amongst other Lifespan emergency departments. We created a plan to address periods of increased patient volume by seeking assistance from other hospital staff during times of surge. We developed a “predictive modeling” approach to help us anticipate high-volume days and periods of the day to staff accordingly. Median door-to-provider time for the last year has now decreased to 19 minutes, down seventy percent. Median time patients spent in the emergency department (length of stay) has dropped to 162 minutes, down 14 percent. Patient satisfaction has moved into the top fifth percentile of similar community hospitals nationwide over the last six months. In fact, in July, our busiest month on record, we had door-to-provider times of sixteen minutes, and our patient satisfaction was in the top one percent of hospitals nationwide. While I have the privilege of writing this column, these improvements are the result of a true, hospital-wide effort, with our dedicated emergency department staff leading the way. Emergency medicine clinicians often joke that we hope to never meet you. If we do, we certainly expect that you will benefit from the positive emergency department changes we have made to better serve our community. 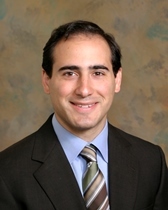 Anthony Napoli, MD, is medical director and chair of emergency medicine at Newport Hospital. Cold and flu season: When should I see a doctor? Right now it seems like everyone is reaching for the tissues or cough drops.